In a previous article, I explained how to walk like a woman. Now let’s talk about how to make your gestures and deportment more graceful and feminine. It’s common to speed up your movements when you feel nervous or self-conscious. This can make you appear jerky and clumsy. 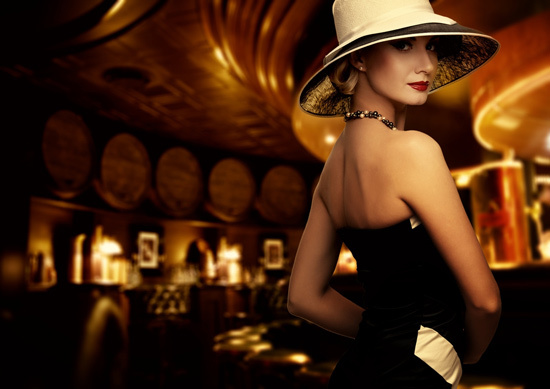 To look more poised, avoid rushed movements. Every move you make should be deliberate and precise. Take your time as you sit down, stand up, gesture, and reach for things. I know you’ve probably been told this from Day 1, but it’s easy to let old habits slip in – especially if you spend most of your time in “guy mode.” That’s why you need to be conscious about keeping your knees together and your elbows in. Why elbows in? Because it’s easy to be clumsy when your limbs are spread out all over the place. Keeping your elbows close to your body will instantly make your gestures more graceful. It’s impossible to move gracefully if you have a tense and tight body. That’s one reason why dancers spend so much time stretching. Instead, practice the art of graceful stillness! You will look confident and in control of yourself. 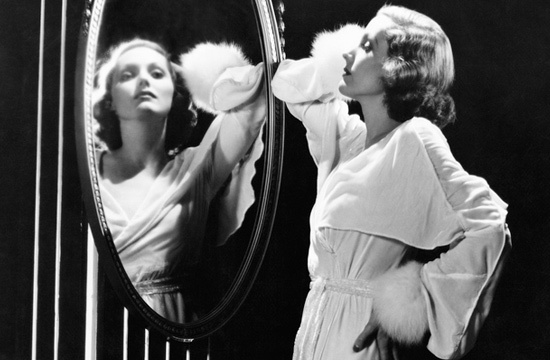 There’s a lot to be learned from studying poised, elegant women. Pay attention to the way they move and carry themselves in public. See the video below for a fabulous example of the ever-graceful Marilyn Monroe. Notice how elegantly she sits and stands, how deliberate her gestures are, and how she never fails to keep her knees together. If you’re really serious about becoming a graceful, elegant woman, then I highly recommend taking dance classes. The grace and coordination you’ll learn through dancing will carry over into your day-to-day life. 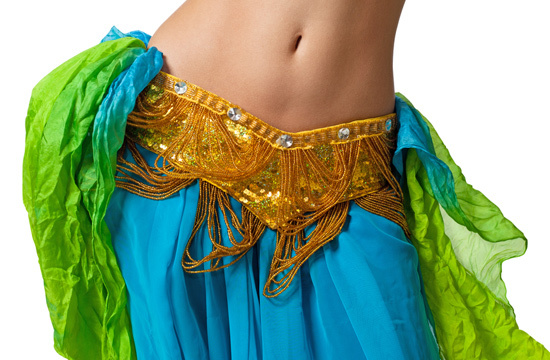 Any type of dance class is helpful, be it belly dance, salsa, or ballet. If you’re shy about showing up for instruction en femme, take salsa classes in “male mode.” You’ll also get some awesome hip movement training! Finally, remember that being graceful takes practice. I recommend practicing your movements and gestures in front of a mirror. Or, better yet, record a video of yourself so you can evaluate your movements objectively. What do your movements say about you? You might not be able to change your height or the overall shape of your body, but the good news is that you have control over your body movements. 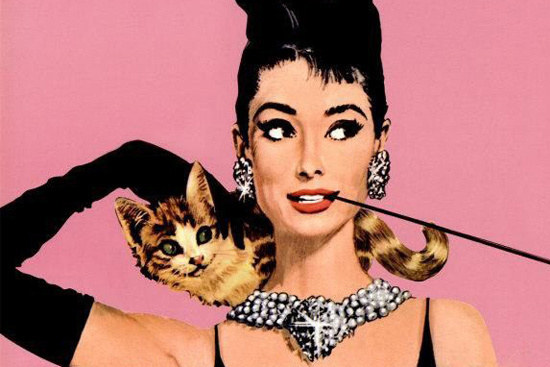 Use these 7 tips to become a more graceful, elegant woman! Now I’d love to hear from YOU on this topic. Do you struggle with your body movements or are you naturally graceful? Do you have any other feminine movement tips you can share with us? P.S. If you found these tips helpful, I have even more I’d LOVE to share with you! 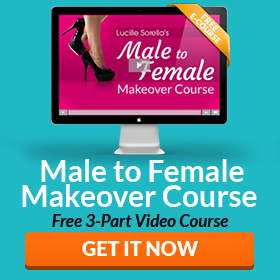 Click here to sign up for my FREE 3-part Male to Female Makeover Course. Hi Lucille,I m a cross dresser of 24.I m sexually interested in males.so is it wrong or normal??? All on point. Stretching and Dancing are wonderful aids to presenting oneself in a feminine way. good luck. you can do it! I would like to know if there secret for keeps knees together. I had hip surgery and doctor doesn’t want me to cross my legs at knees. I am experimenting any suggestions. You were so right about how to feminize the way to walk. Aside from taking shorter, slower steps, walking so that your thighs brush each other absolutely made for a femme gait and naturally causes that wonderful hip sway. I’ve spent hours having fun walking in front of my mirror. Thanks so much for all your tips sweetie. Every morning I walk the dogs and practice my walk. I bend at the knees when I clean up their mess. All the weekends we especially go for a long walk where it’s really private in neighborhood wooded Path. There I am free to do almost anything. There I can really get my stroll on and since I’ve been in this walk I have developed a natural twist in my hips that I can’t turn off. I also record myself doing a lot of things and when I am trying to mimic is movement or act a certain way I can see if it looks natural or forced then I can make adjustments so I can look and feel natural when doing it. I found out that when I’m not paying attention to my surroundings or really forcing my movements they are more fluid and natural. Coming of age I realize that everybody doesn’t have feminine movements or ways or even shapes. I just tried to be comfortable being me there for my movements become comfortable and natural. As always, greats tips for going out. The enjoyment of being Barbara is slowing down and becoming a graceful woman. Taking time to enjoy the movement and living in the action and excitement of what sets us free. Have fun dressing and going out! You are gorgeous Barbara, I could only hope to become half the woman you are!! Relax and move gracefully. Talk with you hands and eyes. Just don’t be jumpy and erratic and keep your hands out front. Very Pretty! You make a lovely woman.